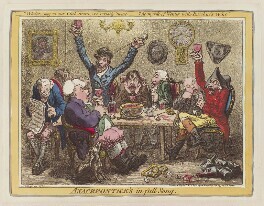 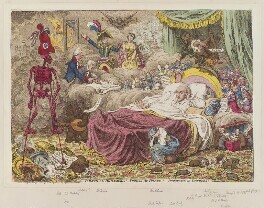 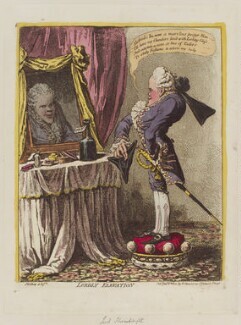 Gillray's attitude to peace with France reflects the anti-Jacobin tendencies found throughout his work. 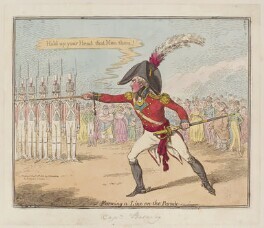 The genius of France triumphant, - or - Britannia petitioning for peace (D12517) satirises Opposition motions for peace in the 1790s. 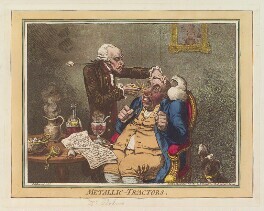 A print published during the short lived Peace of Amiens (1802-1803), The first kiss this ten years! 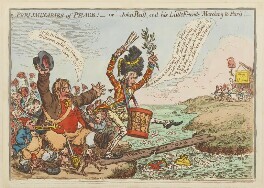 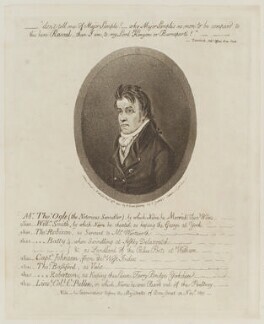 - or - the meeting of Britannia and Citizen François (D12797) allowed Gillray to exercise his talent for national stereotypes. 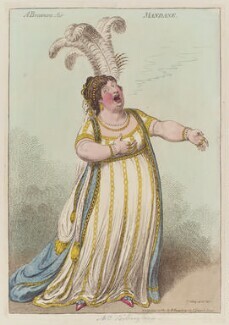 A richly dressed and portly Britannia, who has cast aside her shield and trident, is embraced by a dishevelled Frenchman in military uniform. 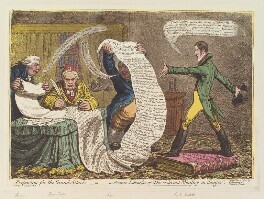 In her speech bubble she expresses her fear of deception, while Napoleon and George III in the portraits on the wall behind, apparently shaking hands, wear suspicious expressions.